​As we begin the 2013-14 school year, I want to extend a warm welcome to all our new and returning students and their families. The first days of school are always exciting ones but they are also a chance for parents and students to become familiar with teachers, classrooms or class schedules and bus schedules. The connection between school and home is very important to student success. 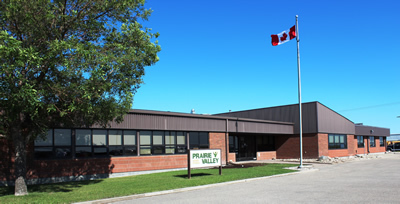 In Prairie Valley School Division, we put students first by focusing on five specific areas, students, programming, staff, facilities and finance which tie into effectiveness in our schools. As you arrive back at your schools, you may notice that our staff has been hard at work this summer doing maintenance work, installing new computers and completing renovation projects at many schools! Many of you contributed to the strategic plan for the school division during public consultation held in April and May. Your feedback has now been incorporated into a plan set our course for the next four years. The Board of Education will be sharing this report with the public in the near future. I’m looking forward to a rewarding school year for all our students and families. Thank you for your continued support of Prairie Valley School Division.